Everyone knows the benefits of chocolate, even women like chocolate ice. Particularly in advertising of a Belgian chocolate product, although the price is almost half of the well known ice cream branded. Back to chocolate, chocolate which have a beneficial for our health is Dark Chocolate. It useful for our heart health. 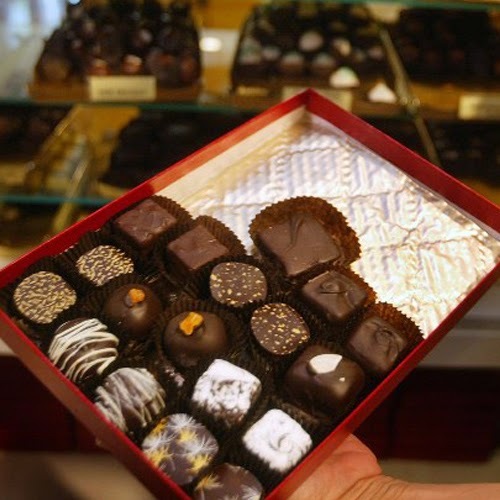 Scientists found the habit of eating 70g of dark chocolate every day can improve the blood vessel health dramatically. Increasing the flexibility of arteries and prevents white blood cells sticking to the walls of blood vessels. The research was published by March 2014 issue of the FASEB Journal. Experiments carried to 44 of the middle-aged overweight men. The study was conducted during 2 periods within 4 weeks.